Sophisticated solid colour wardrobe from the Armada collection. Painted Midnight Blue to match other items in the collection, this wardrobe provides ample storage with one full width hanging rail and two drawers. 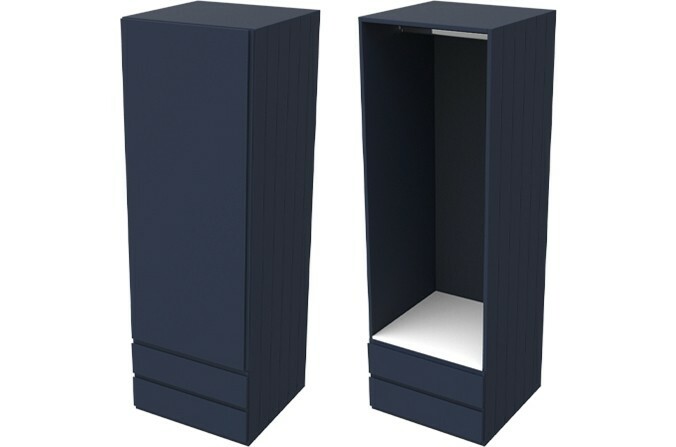 Armada Navy Single Combi Wardrobe - Made from moisture resistant board and painted Midnight Blue. Two drawers set on easy glide runners provide ample storage. One internal hanging rail.